Early in 1997, CWS/Dakar prepared an overview of the Moringa tree and its various qualities which was then distributed among the network of CWS partners in the region. One contact, Mr. Martin Mané of the Senegalese organization AGADA (Alternative Action for African Development), responded with a proposal for a pilot project to educate the populations in the vicinity of Ziguinchor, south-western Senegal (the Casamance), in the use of this tree to combat malnutrition among infants and women of child-bearing age. CWS commissioned a feasibility study and, after some modifications, the project was approved. The primary thrust of the project was to train the network of government health workers (doctors, nurses, mid-wives) in ways of using this plant, who in turn would recommend it to their patients and keep records of results. Towards this end informational booklets, brochures, a seminar and radio spots were put together by CWS and AGADA personnel. The pilot project was intended to find answers to several questions regarding the value of Moringa and public reaction to its use. Although grown widely in the region, the leaves are only an occasional food source and much of the nutritional content is lost by the common practice of boiling the leaves and then discarding the water as many as three times before the leaves are eaten. Would Moringa leaves, leaf powder and pods be visibly effective in treating malnutrition and promoting physical health and well-being? In a place where there is only very limited awareness of nutrition and the importance of balanced diets, would people see the value of adding Moringa to their foods as a purely nutritional measure? Would people be receptive to changing the way they prepared fresh Moringa leaves? Would people be receptive to adding new foods, such as Moringa pods, to their diets? Would local consumption of Moringa remain dependent on outside encouragement and training, or could it develop spontaneously? In Senegal, where the tree is often grown around people’s houses, the tree is called “Nebeday;” most likely a derivative of the English words “never die” in reflection of the tree’s ability to withstand drought, grow quickly from seed or cuttings, and regenerate itself even after the most severe pruning. Mr. Atabou Mané, supervisor of the primary health care department at the hospital in Bignona, 30 km north of Ziguinchor, is one of the 171 health workers who have attended a Moringa seminar. He was impressed with the possibility of treating malnutrition with locally-available products. “We have always had problems with the classical approach to treating malnourished children. This was based on industrial products: whole milk powder, vegetable oil and sugar. All these things are expensive. When you tell a parent to go out and buy these things — this can be truly costly for him. On the other hand, with Moringa the resource is locally available. The people themselves can produce it. “We have done experiments in treating malnourished children with this plant and the results have been really spectacular. Now, when women bring their children to our hospital we explain to them about Moringa and show them how to prepare it. It is sufficient now to continue the training and publicity about this local plant which has so many virtues. Mrs. N’Deye Sakho, a colleague of Mr. Mané, is a nurse in charge of pediatrics at the Bignona hospital. She goes out herself to collect Moringa leaves and keeps dried leaf powder on hand to give out to mothers of malnourished children. She has kept records, including photographs, of children who have recovered from malnourished states through the addition of Moringa to their diets. Abdoulaye Diallo, a boy who weighed 5kg 100g at the age of five months when he was brought to the clinic on February 27. By April 13, his weight had increased to 8kg 950g. Maimouna Diedhiou, a girl who at 50 months weighed 8kg 900g. One month later, on June 4, she weighed 9kg 900g. Fatmata Gassama was 17 months old and weighed 6kg 350g on February 2. On May 18, she weighed 8kg 800g. “I think that, using Moringa, we won’t have many problems in helping children recover from malnutrition because it is so easily available. Women usually have the tree growing around their houses. They can collect the leaves and prepare the product themselves. Mr. Siaka Goudiaby, an administrator at the general hospital in the city of Ziguinchor, needed little convincing about the value of Moringa. A diabetic, he has for the past three years been controlling his blood sugar levels by periodically drinking a tea he makes from Moringa leaves. Directly after attending the AGADA training course, he took the initiative to begin planting the trees around the hospital. At the pediatrics and maternity department of Ziguinchor’s hospital work Mrs. Bintu Ndour Sané, a mid-wife, and nurses’ aides Mrs. Souadou Sagna and Mrs. Astou Magna. All three attended an AGADA seminar. made me nauseous! So that when we were told about this seminar, I really didn’t see the point. “But when we had the seminar, absolutely everyone was impressed. All these years we have been walking by this tree without knowing its virtues! We have learned about it late, but now that we know we are doing everything we can to promote it. At the end of the seminar, each participant receives a small sack of leaf powder to take home and try. Mrs. Souadou Sagna added two spoonfuls of powder to a palm oil sauce. Between April and December, 1998, the center for the treatment of malnourished children at this hospital treated 45 children aged 0 to 5 years, 20 of whom were severely malnourished, adding Moringa leaf powder to infant formulas. 17 of the severely malnourished and all 25 of the moderately malnourished enjoyed full recoveries. Mr. Amadou Ba is director of the health post in Tendouck, a village located a few kilometers north-west of Bignona. “We were all trained in the “classic” solution for treating malnutrition: a combination of whole milk powder, sugar and vegetable oil, sometimes peanut butter. But these ingredients are often too expensive for mothers to buy. The recovery of malnourished infants can take months this way. Now we have replaced this with Moringa. Mariama Kamara is a woman living in Tendouck. She was a regular consumer of Moringa both during her pregnancy and afterwards. When her son Bassirou was born, he weighed 4kg. Nine weeks later, he weighed in at 7kg 500g. Mr. Adamou Ba, director of Tendouck’s health post, says that in twelve years there he has seen only one other baby weigh so much at birth. Awa Diedhiou was two months’ premature when she was born on December 10, 1997. A very tiny baby, she weighed only 1.5kg. Her mother, 22-year-old Maïssata, also had problems. “After the childbirth, I had no hope for my baby’s life. She was so thin! And I was having problems myself. I was very weak and suffering from dizziness, and I was not producing enough milk for my baby. In this photograph, Awa is five months old and weighs five kilograms. She is still a small baby, but appears to be quite healthy. Maïssata has no doubts about the reason for this. Living on the same street in Ziguinchor is Mariama Diedhiou. She and her 17-month-old son Cheikh Aliou both appear very healthy. But this was not always the case. “At first, when I tried to nurse my son I was not producing enough milk,” recalls Mariama. “Then I started to eat Moringa. After a short while, I had enough milk again. The health worker based in the village of Ediamath, near Tendouck, had attended an AGADA seminar. Upon her return to her post, she taught the techniques of Moringa preparation to the women of the village. On their own, they have devised many recipes for cooking the pods. Each woman keeps a sack of leaf powder in her house. “My husband is always asking me to prepare fried seeds and pods. (But he still won’t give me the money to buy the oil!). population. Two local radio stations also broadcast programs about Moringa, twice weekly for a month. As a result, requests for training are coming in from well outside the project’s target area. In addition to the health workers, AGADA had given the seminar to 1,436 people as of May 20, 1998. Safiatou Goudiaby and Aïssatou Diatta, the AGADA trainers, travel from village to village on mobylettes to give the seminars. All the materials they need can be found at each site, since the trees are common to the area. Part of the training course consists of demonstrating ways of preparing Moringa leaves and pods so as to retain the maximum amount of nutrition possible. Through the project’s collaboration with local health posts, successful treatment of malnourished children has been well-documented. Interviews with men and women who have made Moringa a regular part of their diets point out that they have a keen awareness of improvements in their health and energy. The evaluation cited two villages (Coubalan and Tendouck) where the women remarked on the general improvement in health, particularly among children, since the Moringa promotion. At one health post (Tendouck), the pharmacy is now even offering Moringa leaf powder for sale to mothers with malnourished children (at a price of 25 CFA francs, 5 cents, per sachet). It is apparent that one does not need an education in nutrition to know whether or not one is feeling healthy. People interviewed have expressed every intention of continuing to include Moringa in their diets because of the sense of physical well-being it gives them. The evaluation cited the village of Coubalan where virtually every household now maintains a stock of Moringa leaf powder. Traditionally, Moringa leaves are boiled two or three times and the water discarded after each boiling. This is done to remove some of the bitter taste of the leaves. However, some of the individuals interviewed claim that they are no longer discarding the water or boiling the leaves more than once. In addition, making sauces with leaf powder instead of fresh leaves appears to be quite popular because it saves time and is easy to use. This has been surprisingly successful, since new foods are often very difficult to introduce in West Africa. People interviewed have shown considerable inventiveness when it comes to preparing Moringa pods, seeds and flowers. Partly thanks to radio broadcasts about Moringa, partly through training provided local communities by some of the more dynamic health agents, and partly through ordinary word-of-mouth and example, Moringa and its properties are gradually becoming known even outside the project’s target area. The project directly sponsoring the plantation of 10,000 trees in 1998, but it is likely that a similar number were planted by individuals within the region. 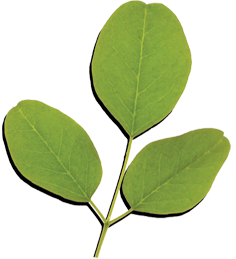 Based on documentation, interviews and anecdotes, Moringa oleifera is a plant with a multitude of attributes. To date, absolutely no negative side effects to even daily consumption of Moringa have been recorded (unless sleeping more is considered bad). Unexpected benefits of Moringa include an apparent cure for tapeworms and help in controlling diabetes. Moringa appears to have tremendous potential to prevent or cure malnutrition in the tropics and sub-tropics.